MAC Selena is back after popular demand! The vivacious music and style of Mexican-American singer, Selena Quintanilla, lives on through the passion of her fans and her impact on Latin beauty and culture. 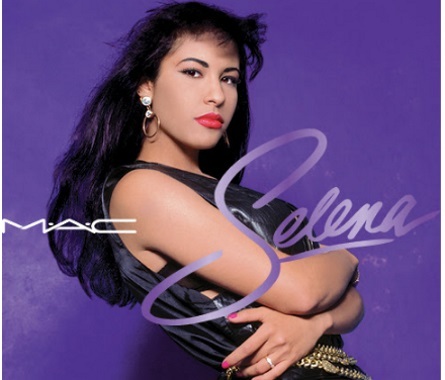 Inspired by the devotion of all those who continue to be touched by the young legend 20+ years after her untimely passing, M·A·C Selena is a makeup collaboration tenderly curated by Selena’s sister. Selena not only taught us to move, she moved us — let’s keep that rhythm alive! The collection went live this morning, I am surprised it's not sold out already. The only item out of stock as I type this is the eyeliner (weird!). I picked up the powder blush duo and two of the lipsticks. Did you get anything? Shipping is free on orders over $65 and you also get to choose a Free Sample at checkout. But with the promo code TXT you can get Free Shipping on ANY order!